Healthcare technology has changed drastically over the last few years. 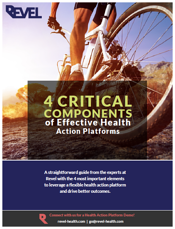 With more robust health action platforms, comes more opportunity to drive better outcomes. See for yourself how health action technology can actually humanize the process and create a dialog with members that drives better results.